Morwell Recreation Reserve will be the centre of excellence for Australian Rules Football in Gippsland. Morwell Recreation Reserve will build on its current activities and become the centre of excellence for Australian Rules Football in Gippsland. 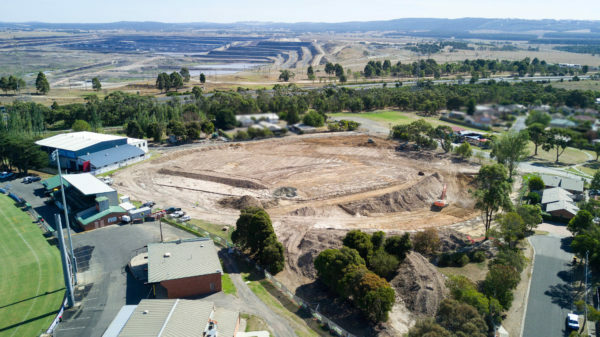 Upgrades specific to football will include construction of a multi-use synthetic oval over the old caravan site and upgrades to the existing facilities, change rooms and club rooms. This will increase capacity for football locally and at the elite level and support the ability to host AFL and AFLW level matches. New netball courts and a shared cricket/netball multi-use pavilion have already been completed thanks to the funding support of the Federal Government in line with the high level masterplan previously prepared by Council. Keegan Street Reserve will also be upgraded and the oval re-shaped to alleviate drainage issues and provide quality facilities for the key user groups and the community. 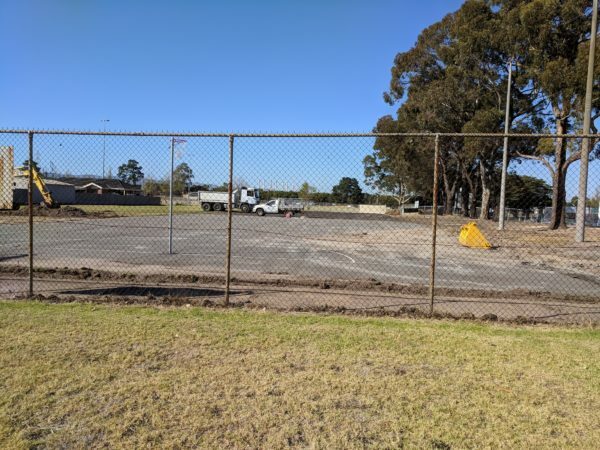 A full scale redevelopment of the outdoor netball courts and car park at the reserve has been completed by Morwell based contractor HCM Constructions. The first games were played on the new surface on April 28, with lighting now installed to accommodate training and night play. 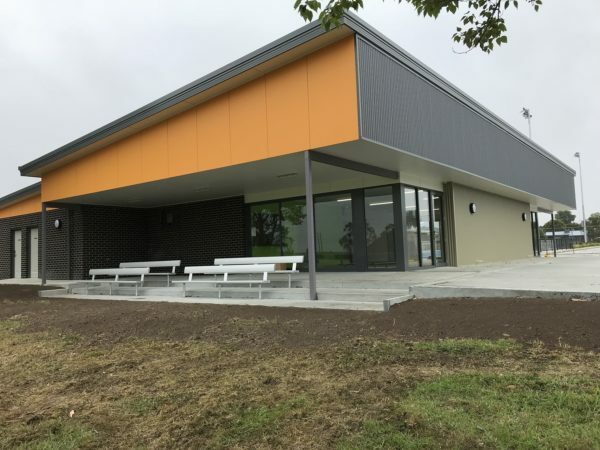 Traralgon company Langden Construction has also completed work on a shared netball and cricket pavilion which is already experiencing extensive usage. A lighting upgrade to the main football oval has also been completed, with new towers installed and higher lux capacity lights now operational. 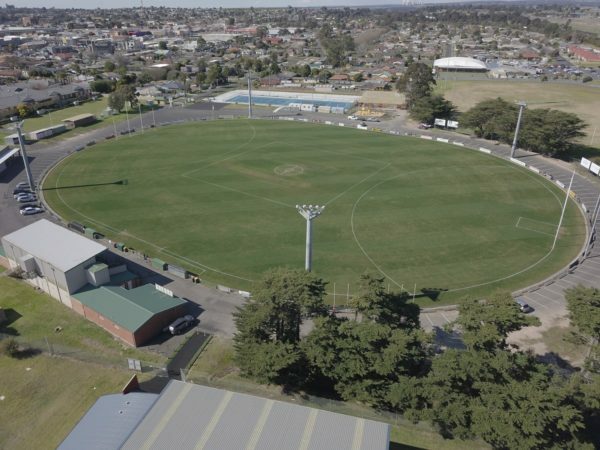 Architects and specialist engineers have been engaged to undertake the initial design work for the redevelopment of the football clubrooms, AFL Gippsland offices and implementation of a synthetic oval. LD-Eng has been awarded the design project for the synthetic training oval and works are well underway with excavation nearing completion. Earthworks on the synthetic training oval are well underway. The Keegan Street oval will also be redeveloped as part of the $9 million project, co-funded by the state and federal governments. SportEng have completed the detailed design for the Keegan St Oval including natural turf and synthetic central wickets. A tender process will soon commence with works expected to start in May 2019. Langden Construction have been appointed to design and construct the new cricket nets at Keegan Street Oval. Currently the four lane synthetic nets are in design phase and preliminary drawings have been received for review. Consultation was undertaken with Morwell Football Netball Club, Morwell Cricket Club, Morwell Croquet Club, AFL Victoria, Netball Victoria and Gippsland Power to determine their future needs and ideas for the site. A Project Reference Group including local stakeholders continues to guide the overall project.